We’re on day 3 of the new school week and so far so good. We’ve all been exhausted by the end of the day, but everyone is enjoying their classes and teachers. I’ve just about finished up school shopping. It’s a little different for high schoolers. They show up to school with paper and a pencil and each teacher tells them what they want them to bring. We did manage to get all of the school clothes shopping done before school started, which is always my favorite part. It’s fun to see how each child’s style has changed. My 9 1/2 year old (please don’t call him 10) was all about Adidas this year. He wanted Adidas shoes, an Adidas backpack and anything else Adidas we could squeeze in there. 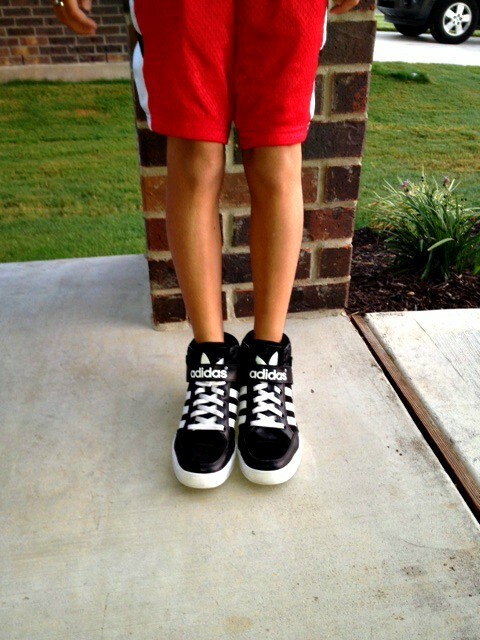 Thanks to Kids Foot Locker, he received what he calls “the coolest pair of shoes EVER”. These are the Adidas Hard Court Strap, which can be found online at Kids Foot Locker. They have them in several different colors, for both boys and girls. Aaron said he likes these because they’re very comfortable, they go with everything since he chose the black and white and he likes the Velcro strap that goes across. He usually doesn’t like shoes that have Velcro on them because it gets caught in the laces and frays them, but he says these works because the Velcro part is only on the very end where the Adidas logo is. As a parent who was a child of the 80s, I love these because they are retro! 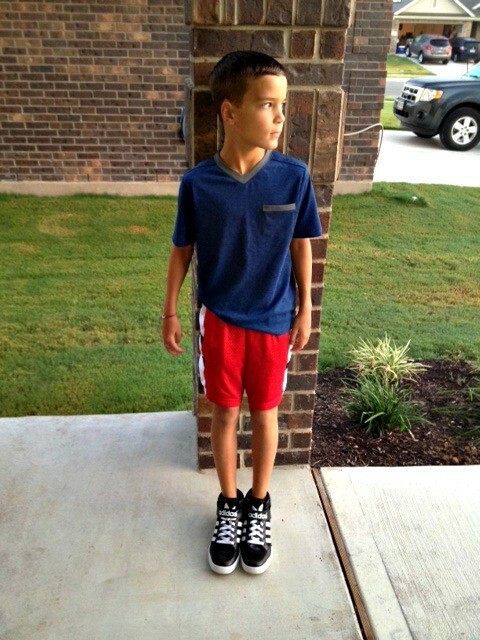 Kids Foot Locker makes it easy for parents and kids to get head back to school in style with ease. Whether you need backpacks, graphic tees, hoodies, gym shorts or sneakers, you can stop by their more than 300 locations across the country and check out their brand name athletic apparel, footwear and accessories. 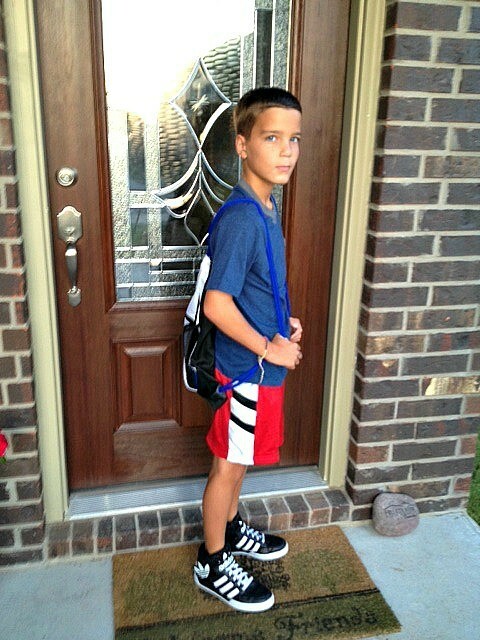 I asked Aaron when he came home after his first day of school how his shoes worked out and he said he ran fast at recess (always a good thing) and he got quite a few compliments from friends. “Cool shoes dude!” His friends say dude a lot. We live in Texas. Just FYI. Disclosure: I received a promotional item for this feature. No other compensation was received. I hope he feels comfortable in those shoes. I’d feel comfortable in the whole outfit it’s a good combination of clothes. Is deinitely feel comfortable in the shorts.